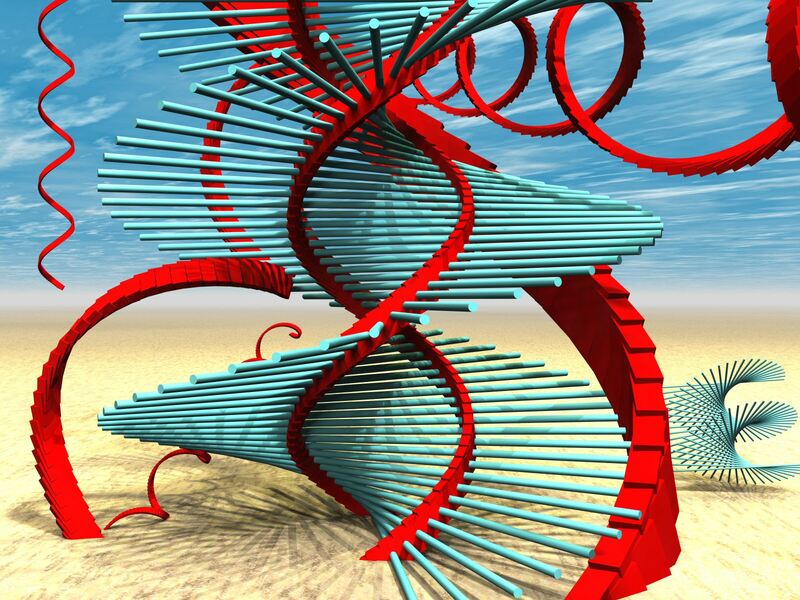 The helices are created from rotated stacked slabs with the centres cored out, and soon became DNA like. The tuquoise 'nucleotide' ladder was then added and the scene was built to explore the structre and the interesting shadows cast by it. Best quality listed first; although all these images are very high quality, compression artefacts creep in when using JPEGs. No browsers currently support JPEG 2000 images, although many graphics applications do.